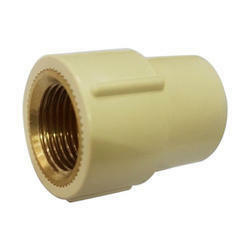 We are one of the most reliable companies in this domain and are into offering UPVC Plastic Female Adapter. Backed by rich industry experiences; we are highly engaged in offering a premium quality range of ABS Adapter. These components use in lamp shed. 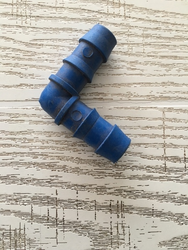 We have in our stores a wide assortment of Male Adapter Plastic Threaded for our valued customers. Products that we offer are developed utilizing supreme quality basic material and technically advanced machinery. We are among the prestigious Manufacturer of Plastics Adapter. We offer these ranges in diverse features in consistence with the precondition of customers. Due to their optimum quality and durability, these adapters are extensively demanded by various numbers of customers. Note: These Plastic Adapter are used in the Textile industry only.